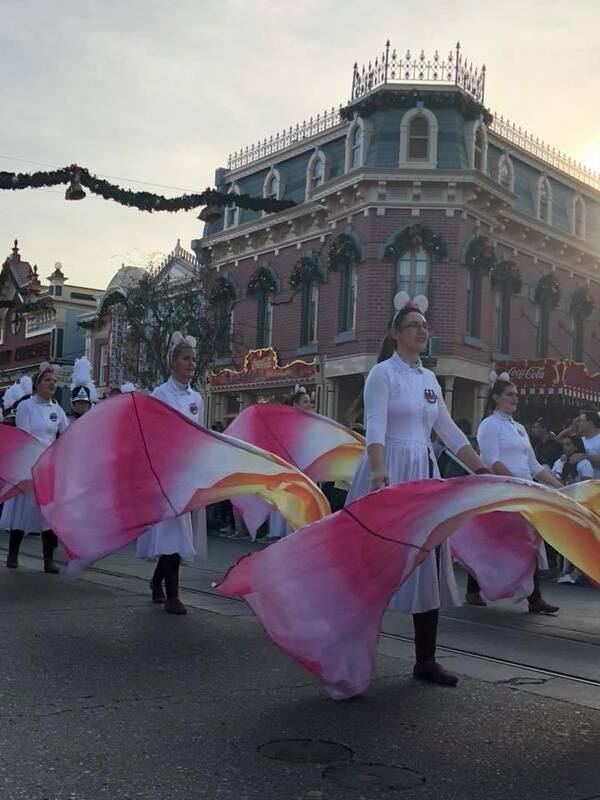 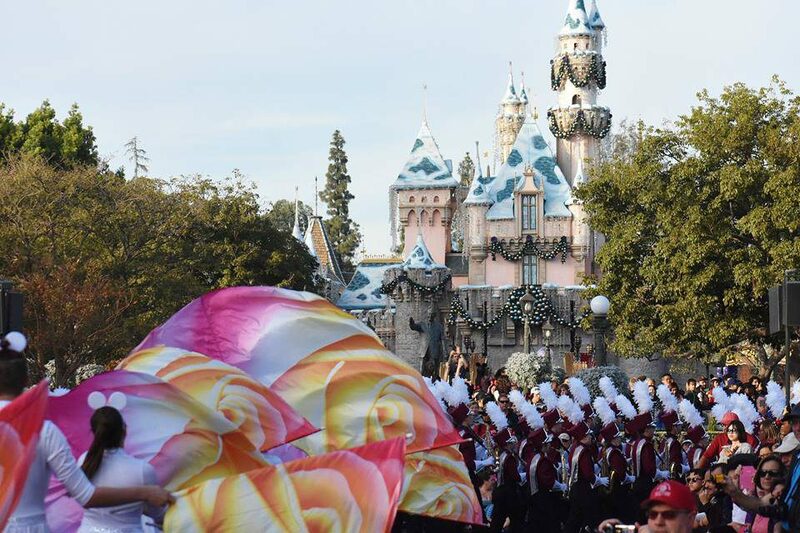 The Minuteman Band had an amazing four days in Southern California, performing their 2017 field show at the Tournament of Roses BandFest, marching down Main Street at Disneyland, and nailing the 110-degree turn at the Rose Parade! 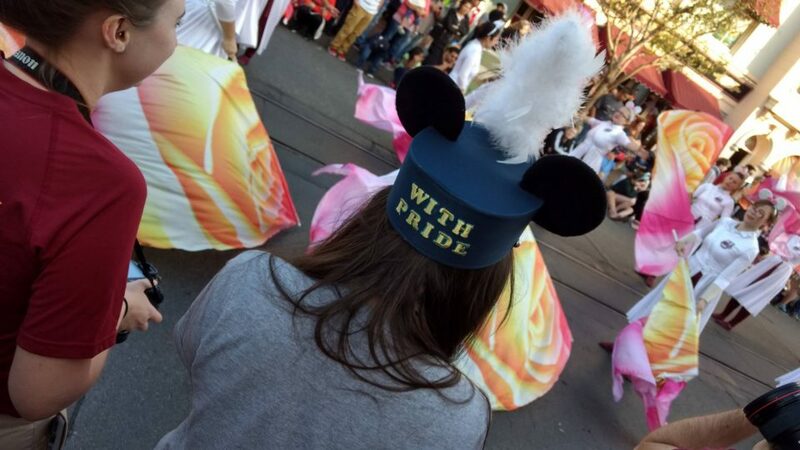 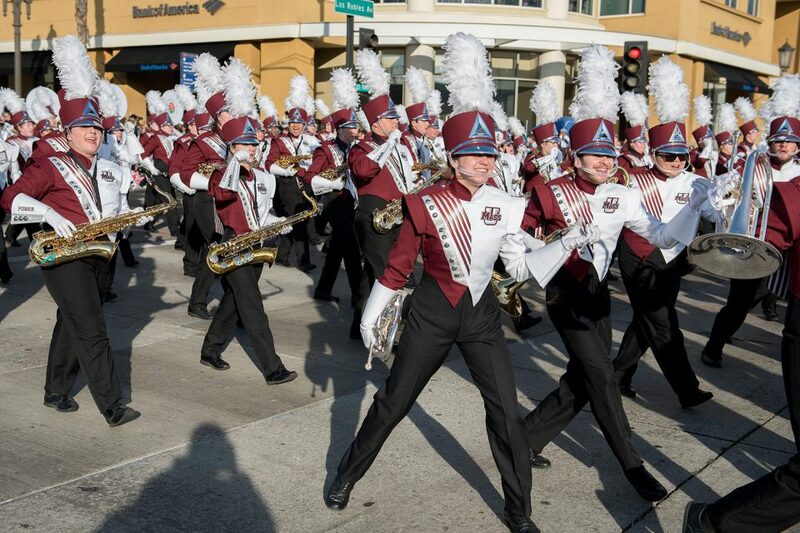 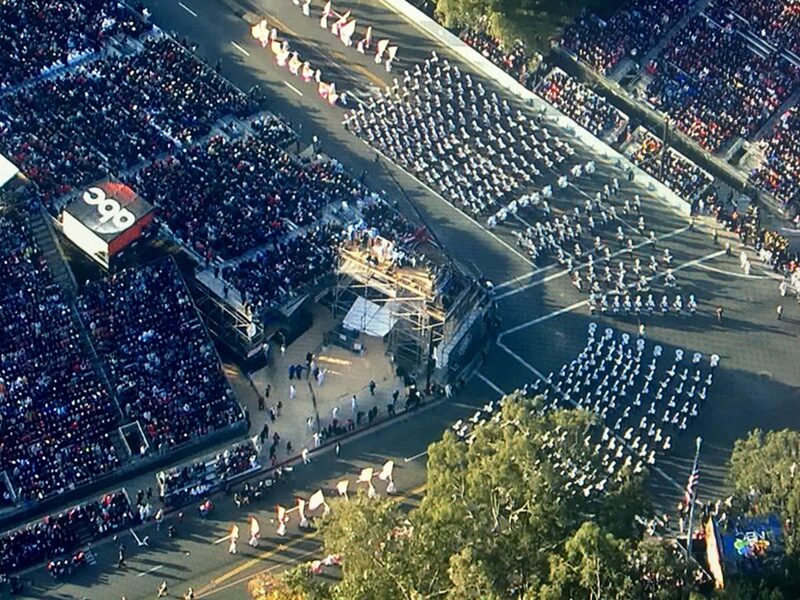 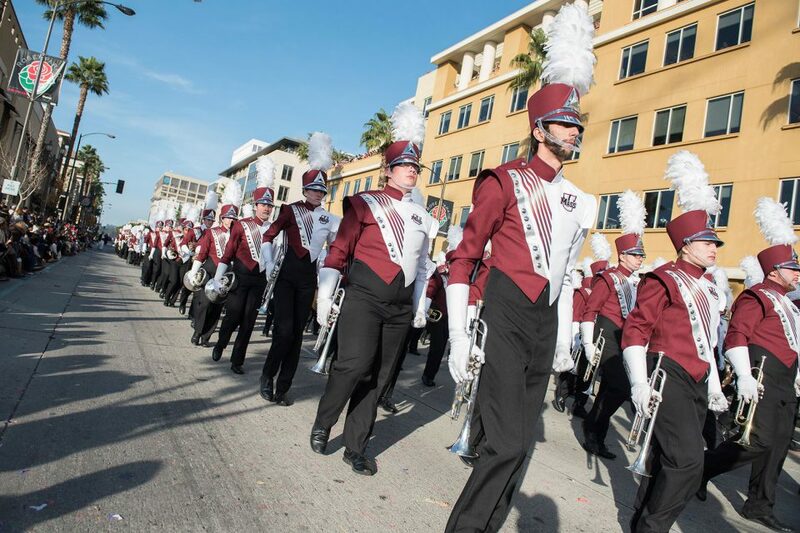 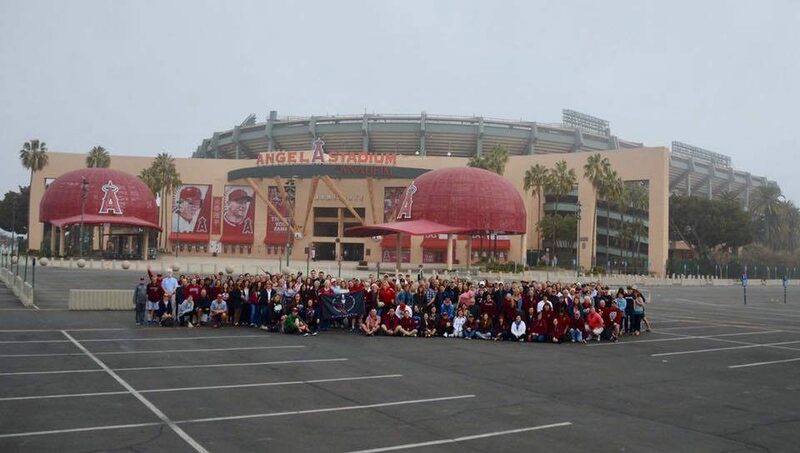 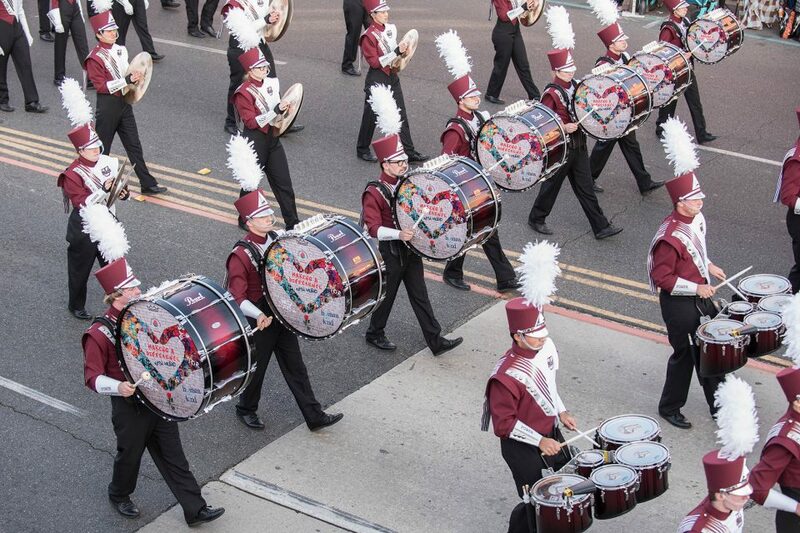 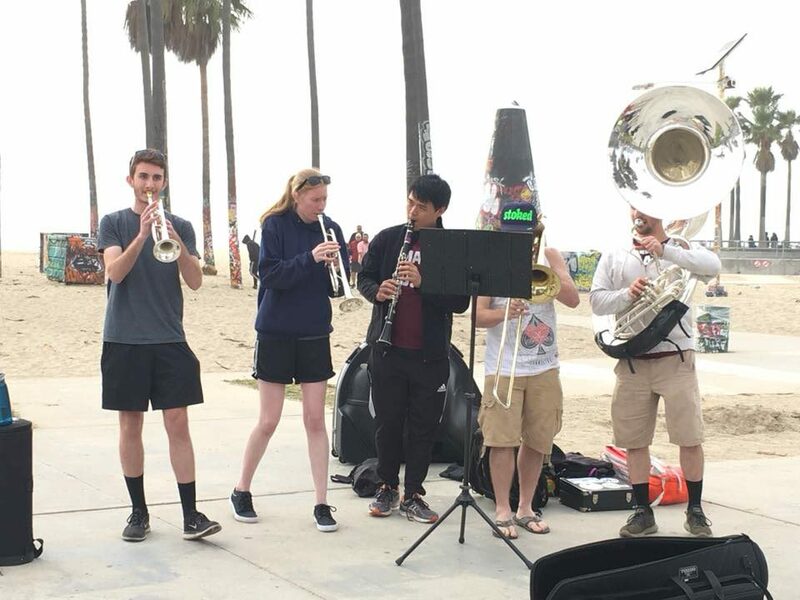 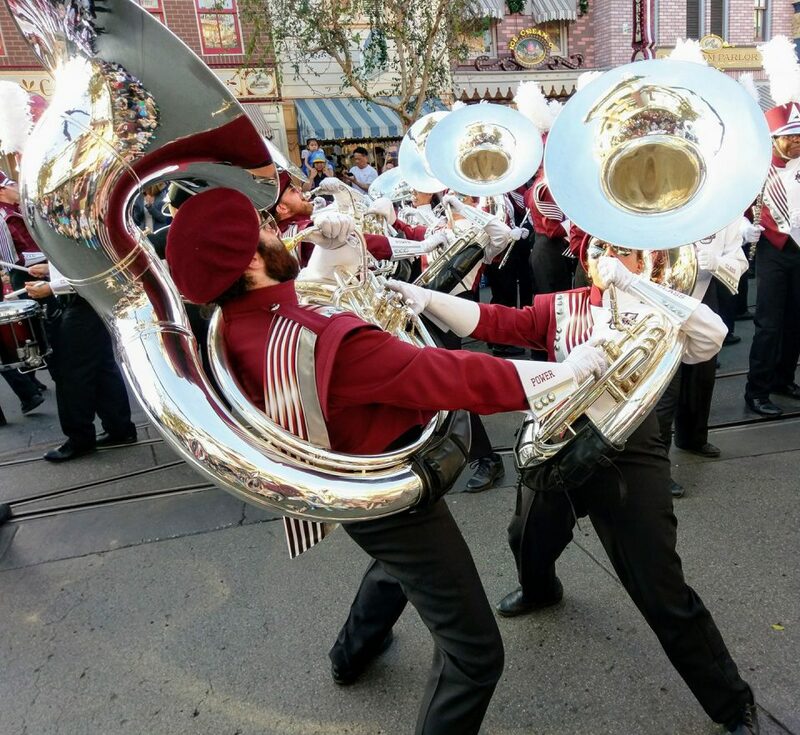 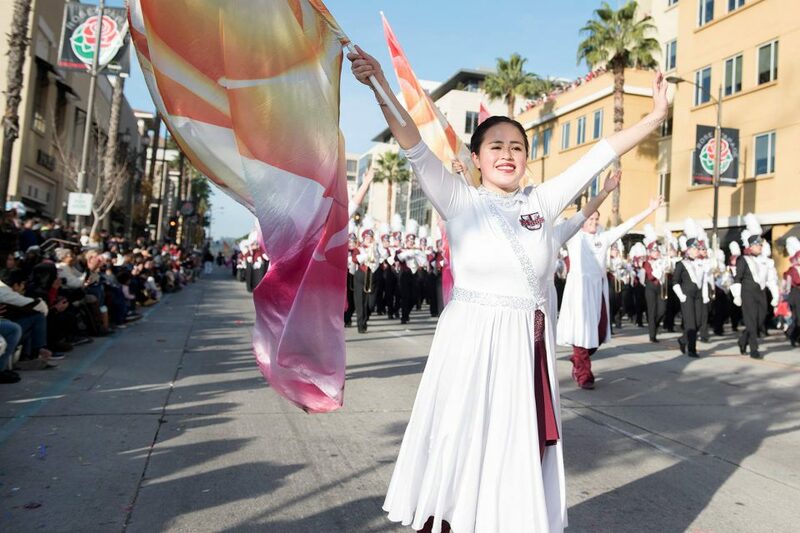 Over 260 band alumni, families, and fans traveled west to join the Minutemen Band on its California adventure and over 500 UMass faithful sat together to watch the Rose Parade. 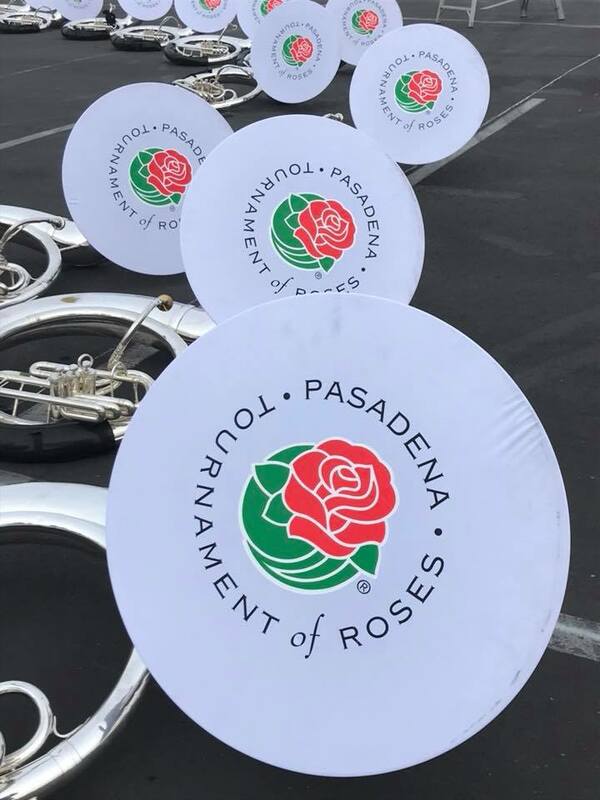 Band alum Serge Beaulieu is one of the band directors at Londonderry (NH) High School, who made their 5th Rose Parade performance and marched directly ahead of the UMMB in the parade! 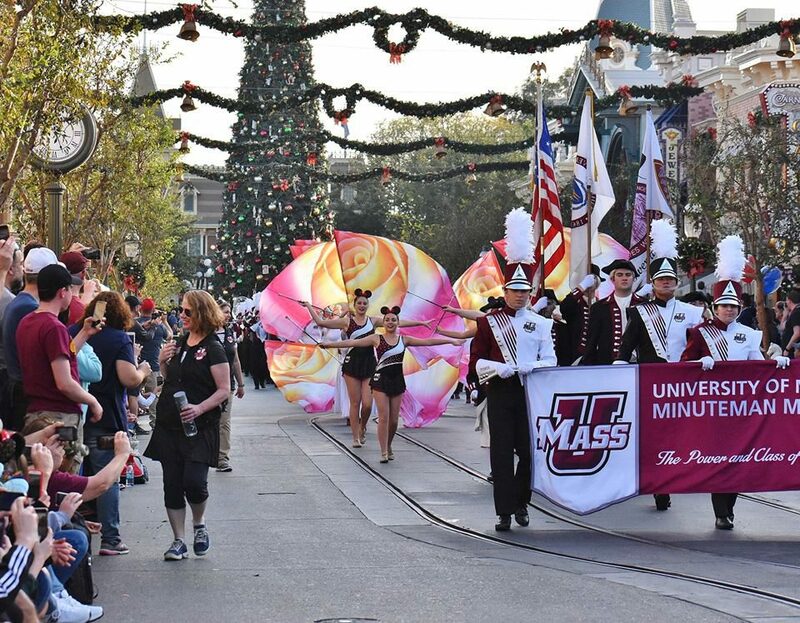 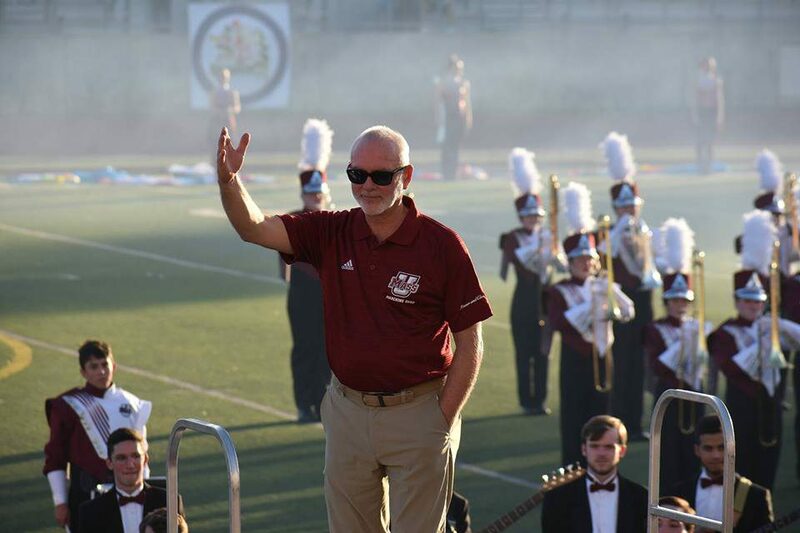 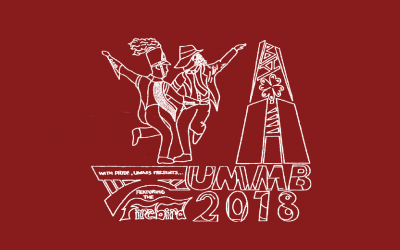 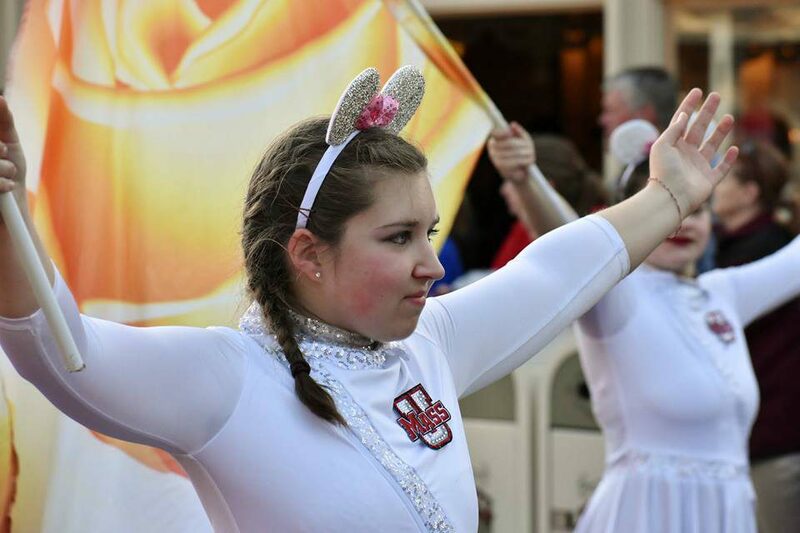 UMMB alum Serge Beaulieu is director of the Londonderry (NH) High School Band, which made its fifth Rose Parade appearance in 2018, and due to a float malfunction marched much of the parade directly in front of the UMass Band! 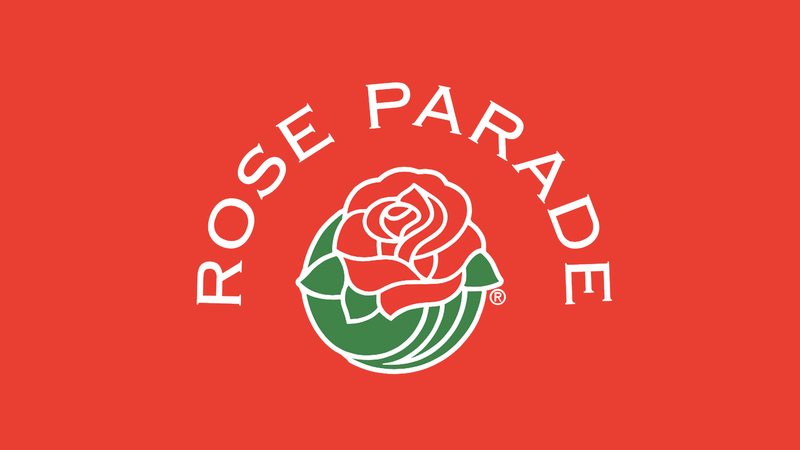 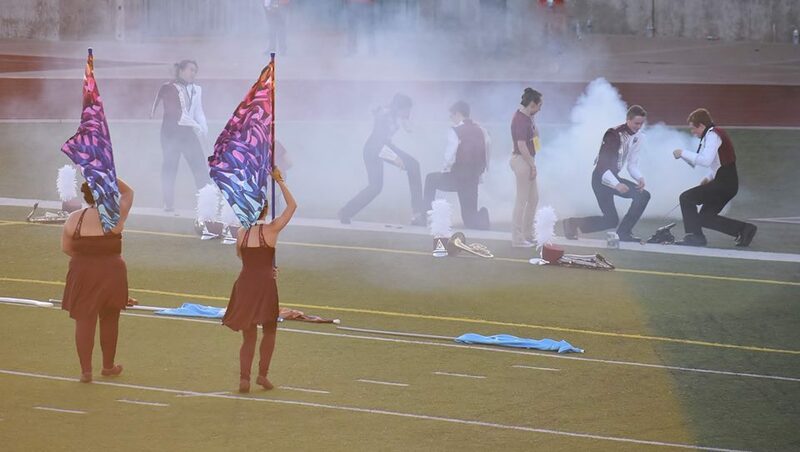 Since its inception, the Bands of America Honor Band has marched the Rose Parade in 2005, 2009, 2013, and 2017. 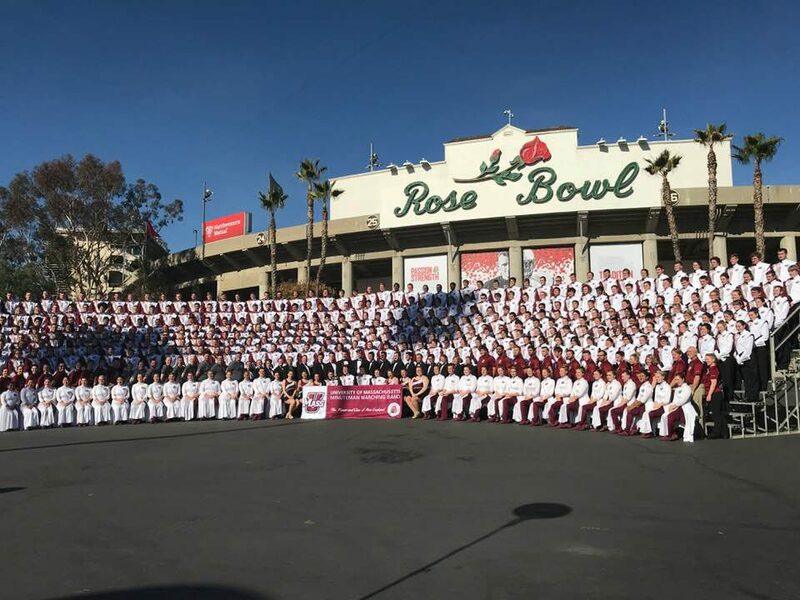 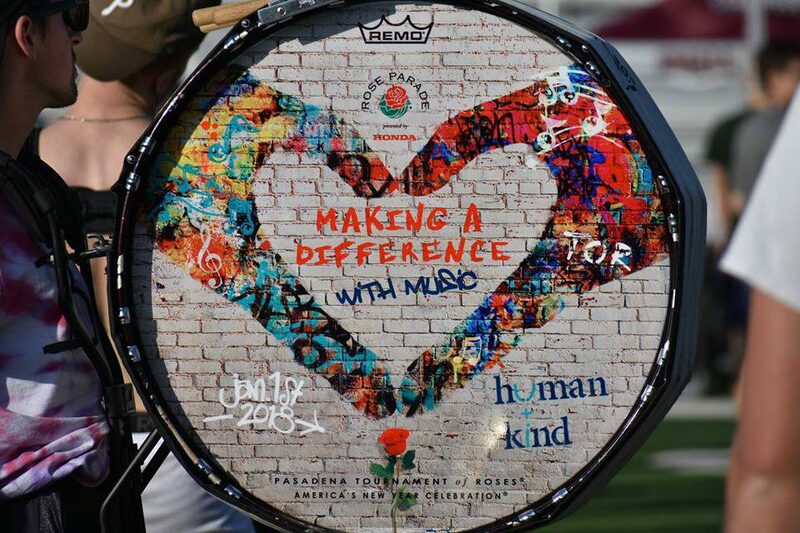 In 2004, Bands of America was invited to create the first national high school marching band for the 2005 Rose Bowl Parade and tapped former Minuteman Band director George N. Parks to pull it off. 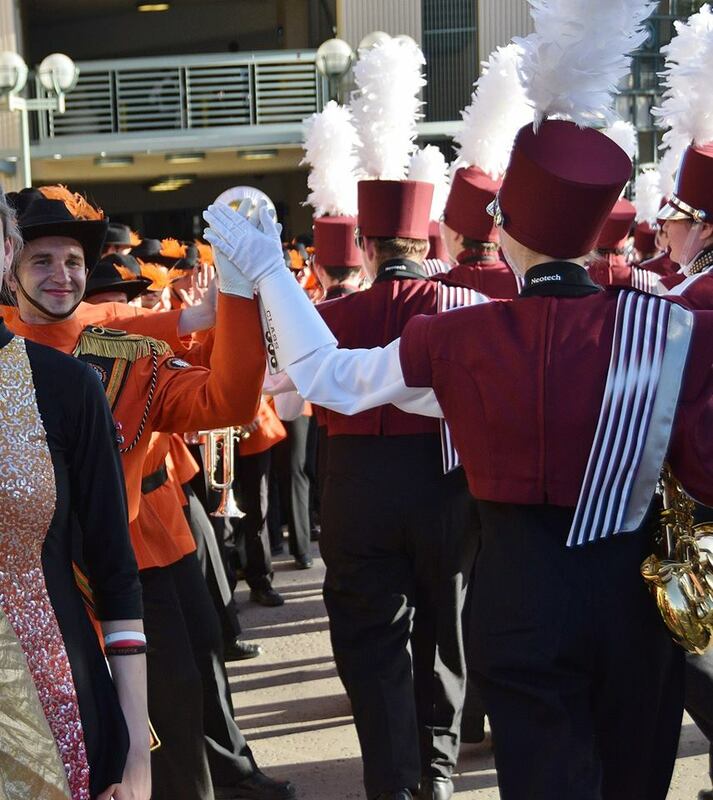 The original 2005 appearance was led by Parks and UMMB alumna (and director of the University of Delaware Marching Band) Heidi Sarver, with music arranged by UMMB associate director Thom Hannum and former assistant director Michael Klesch. 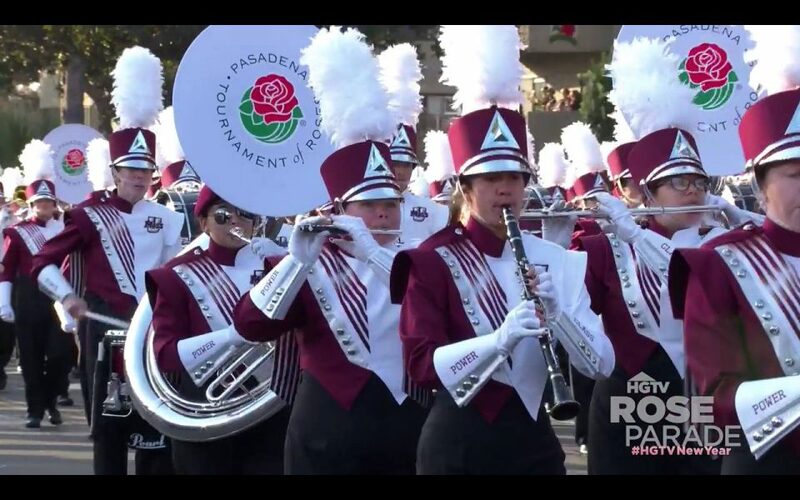 Amongst the 2005 BOA Honor Band’s ranks was UMMB member and UMass freshman Libby Jones, a mellophone player from Marshfield, MA. 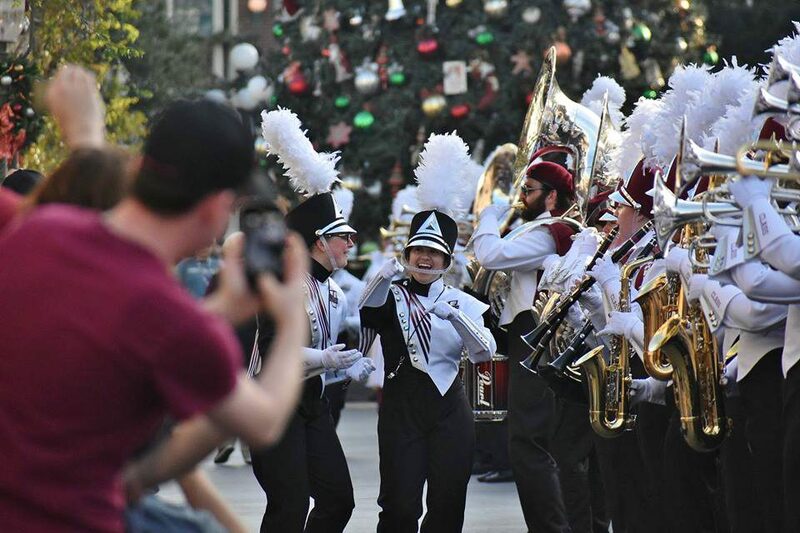 In 2009, Tiffany Brucker, a tenor sax player from Torrington, CT, marched in the BOA Honor Band during her freshman year at UMass Amherst. 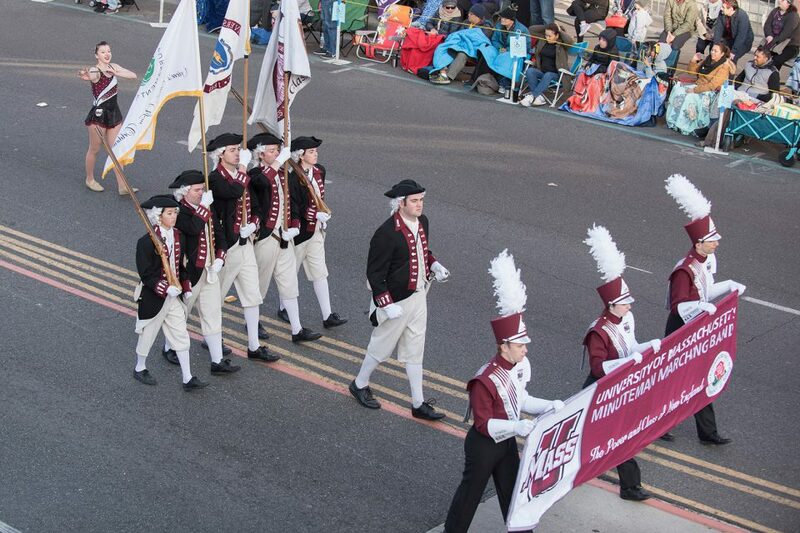 and William Hannum (2nd from left). 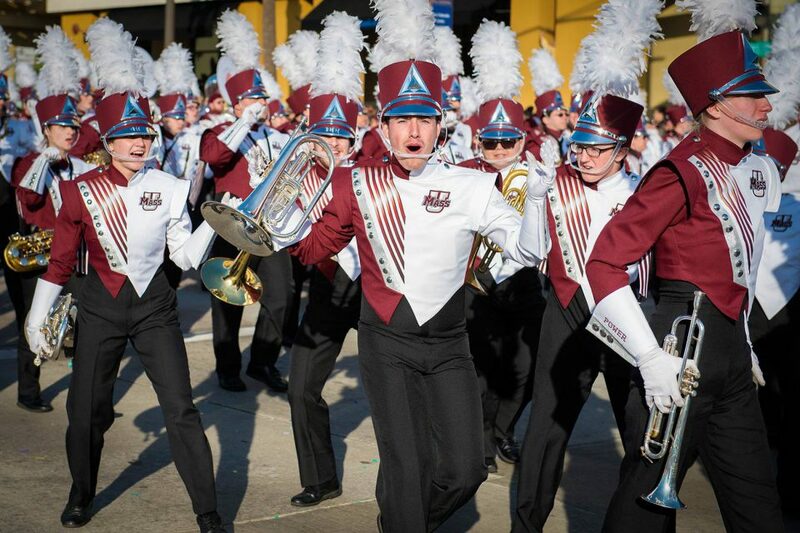 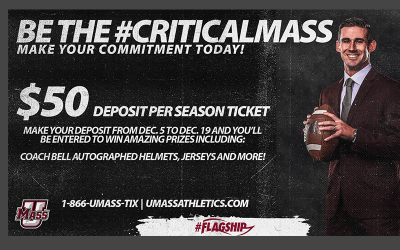 This “UMass team” returned to lead the Honor Band in 2009, in partnership with NAMM and Sesame Street Workshop, earning the President’s Trophy for its performance. 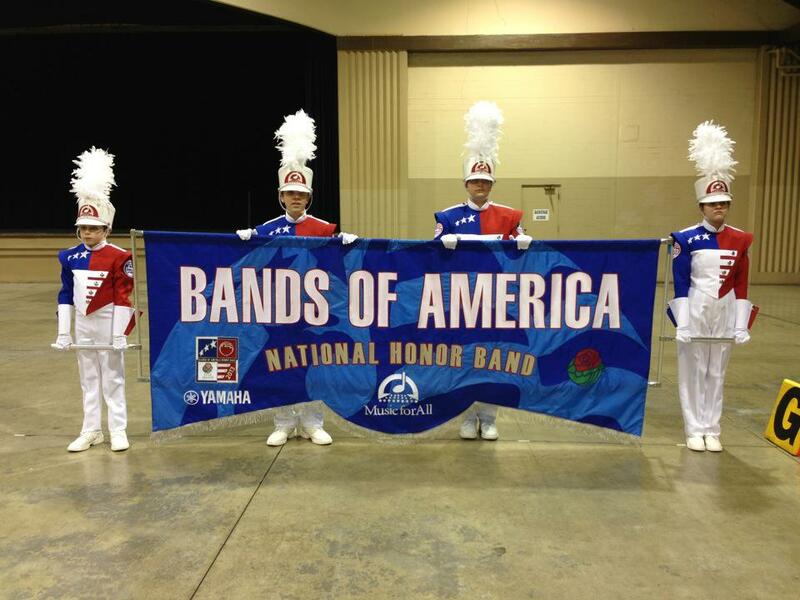 Thom Hannum and Michael Klesch also arranged music for the 2013 and 2017 BOA Honor Bands.